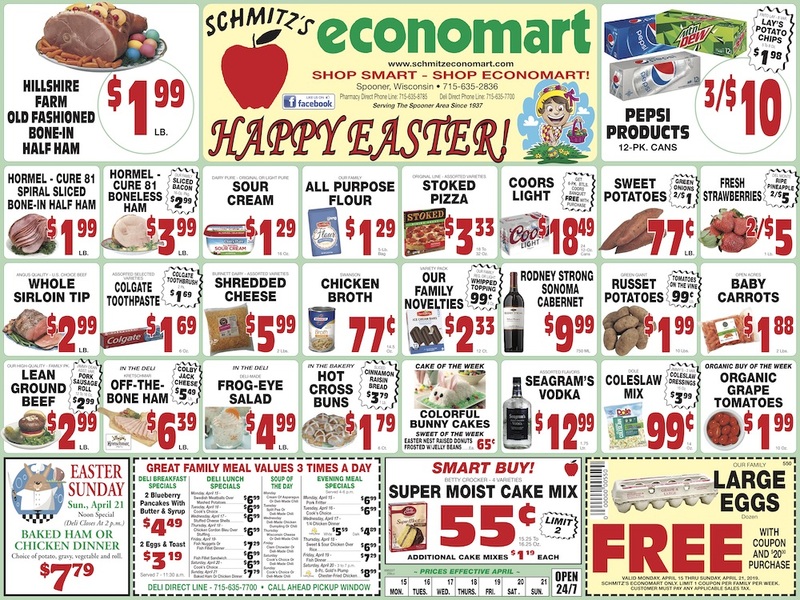 'Happy Easter' - This Week's Great Deals From Schimtz's Economart! 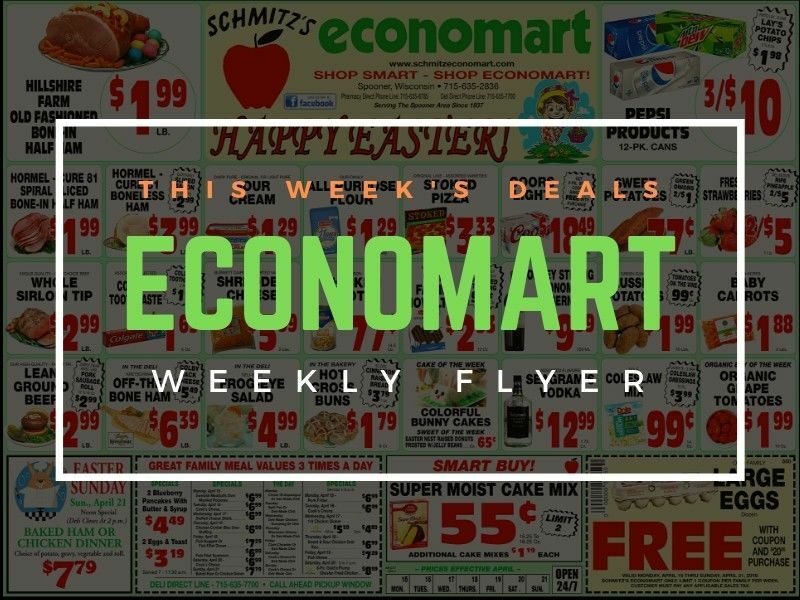 This week's flyer from Schmitz's Economart located in Spooner, Wisconsin. To view: click the flyer below to view/read reports (PDF). Depending on your device and your browser you are using, you may be prompted to download the flyer.